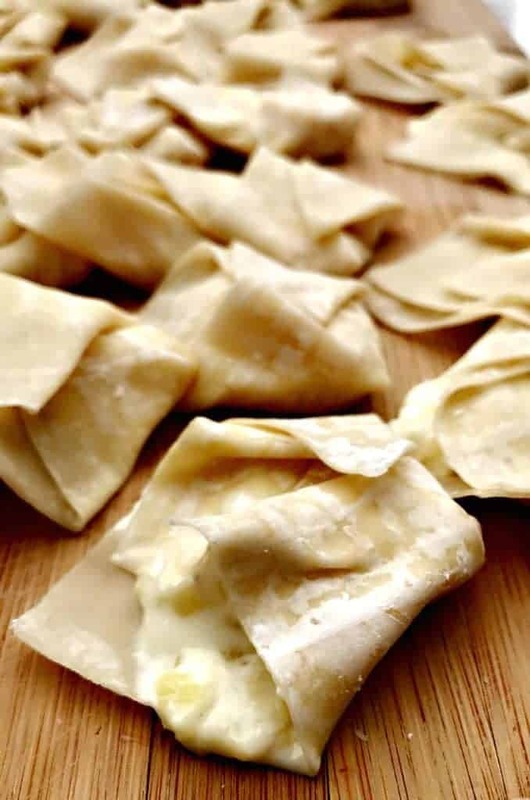 This skinny, guilt-free pineapple cream cheese wontons recipe was inspired by the wontons I typically enjoy at one of my favorite sushi restaurants. I am almost ashamed to admit which restaurant because it is a chain restaurant. Foodies aren’t supposed to eat at chain restaurants, right? WRONG. I think there is room for exceptions. I do not eat at chains regularly, but there are some good ones out there that are nice to enjoy from time to time. The restaurant has amazing lobster spring rolls as well. Stay tuned, because those may be next on my list! The fat count looks high on the macros above due to the coconut oil used in this recipe. Keep in mind coconut oil is high in the saturated fat from medium-chain triglycerides that help improve cholesterol. 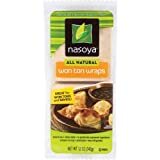 Nasoya All Natural Won Ton Wraps, 12 Ounce -- 6 per case. 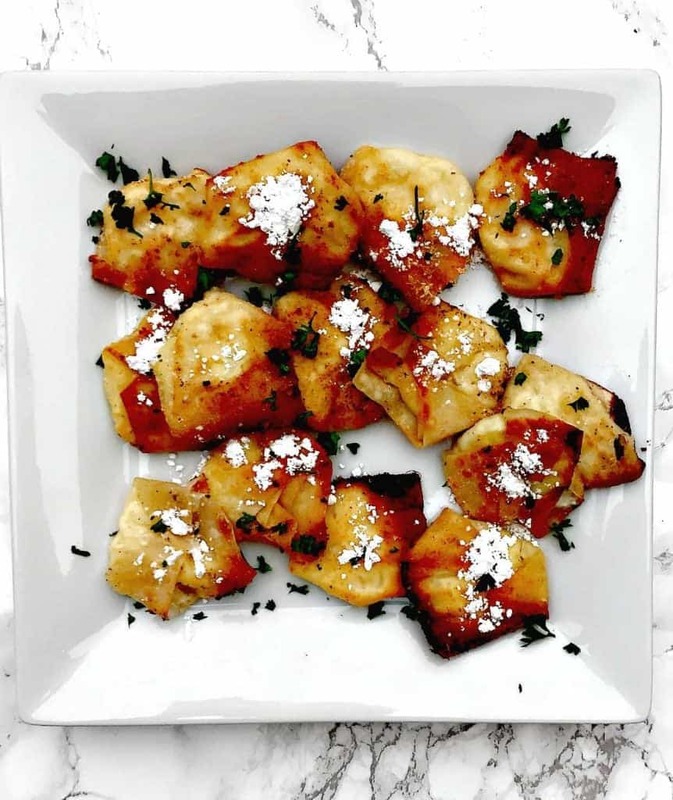 I chose to fry the wontons in coconut oil because I used this same method for my Low-Carb Vanilla Protein Donuts recipe. The donuts were amazing! I used Trader Joe’s Organic Virgin Coconut Oil. Virgin coconut oil usually has a mild flavor and scent. It makes an excellent choice for recipes that require clean and pure fats, yet it does not have a dominating coconut flavor. I am not a fan of coconut flavored desserts, so this is a major plus for me. The higher the exposure to heat, the more intense the flavor. Because the wontons are fried on medium-high heat there is a slight hint of coconut that is not at all overwhelming. 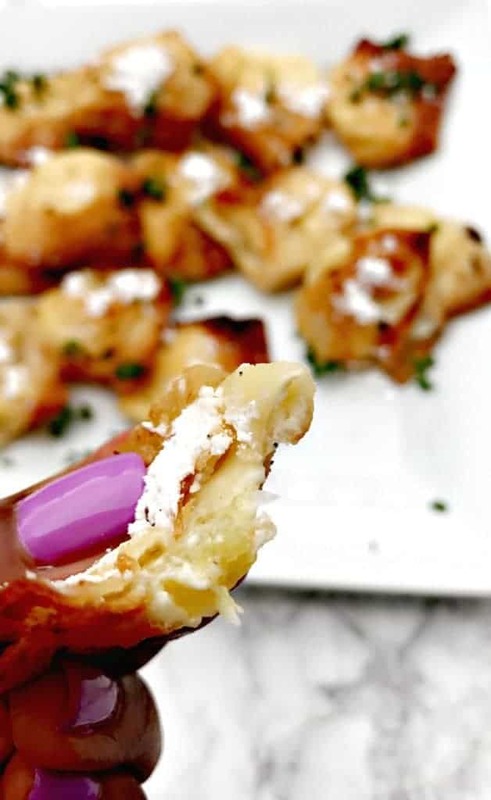 I think this pairs wonderfully with fresh pineapple, cream cheese, and powdered sugar! 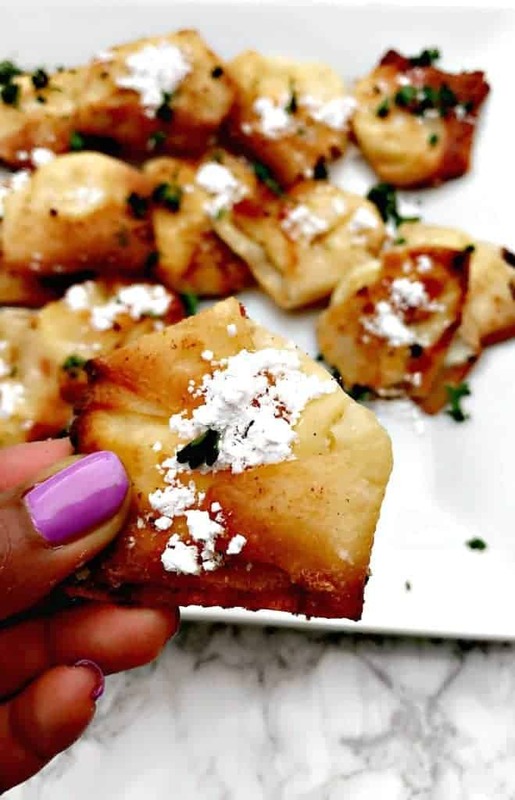 Skinny, Healthy, Guilt Free Pineapple Cream Cheese Wontons make a wonderful quick and easy recipe loaded with fresh pineapple, cream cheese, and topped with powdered sugar. Melt the cream cheese and pineapple in a saucepan on medium-high heat. Stir constantly for 3-4 minutes until the mixture is creamy. 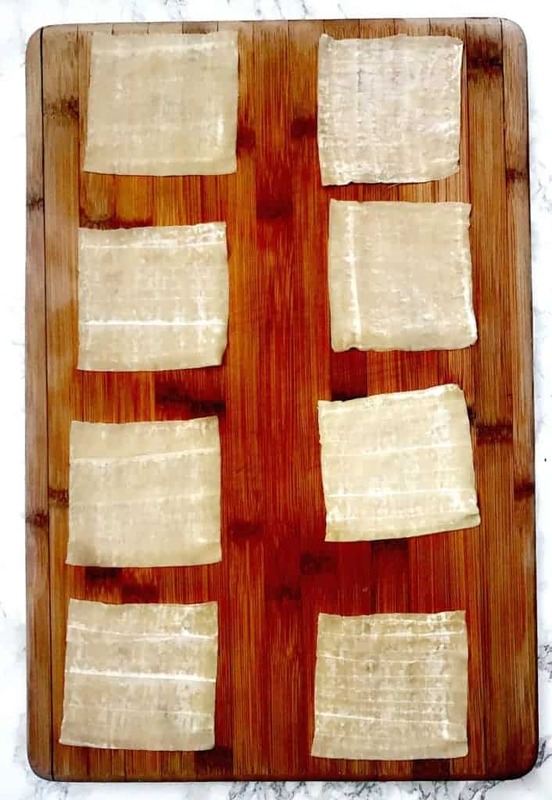 Lay out the wonton wrappers on a working surface. I used a large, bamboo cutting board. Load the pineapple cream cheese mixture onto each wrapper. Be careful not to overfill. Fold each wrapper diagonally across to form a triangle. From there close the wrapper, by folding each of the sides (sticking out from the triangle) in. The process is very similar to making paper airplanes. Heat a skillet on medium-high heat. Add the coconut oil and it allow to become warm (about 1 minute). 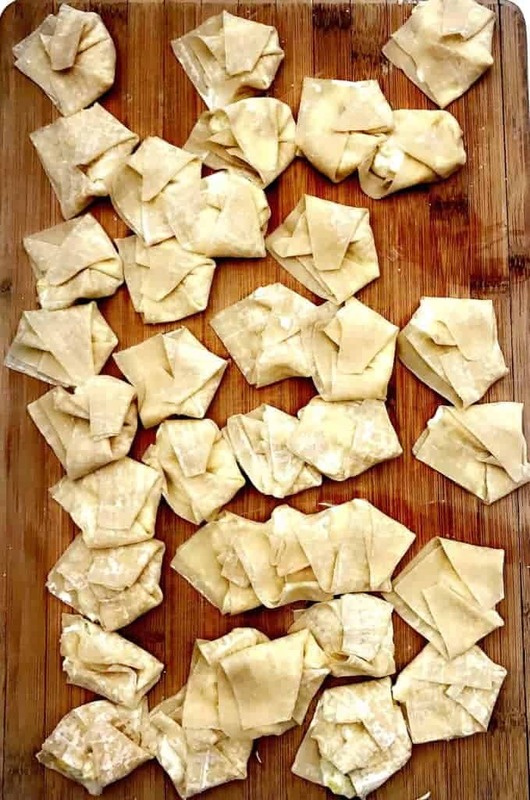 Carefully add the folded wontons. Fry the wontons on each side for about 1 1/2 - 2 minutes on each side. 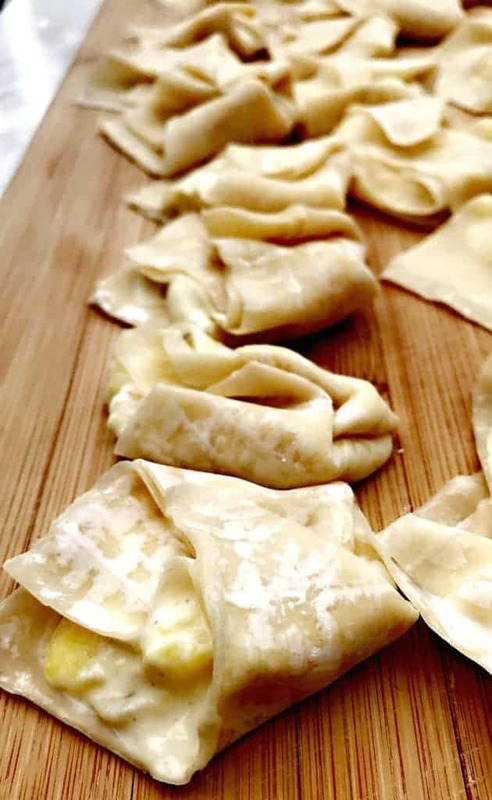 Remove the wontons from the skillet. Sprinkle with powdered sugar. 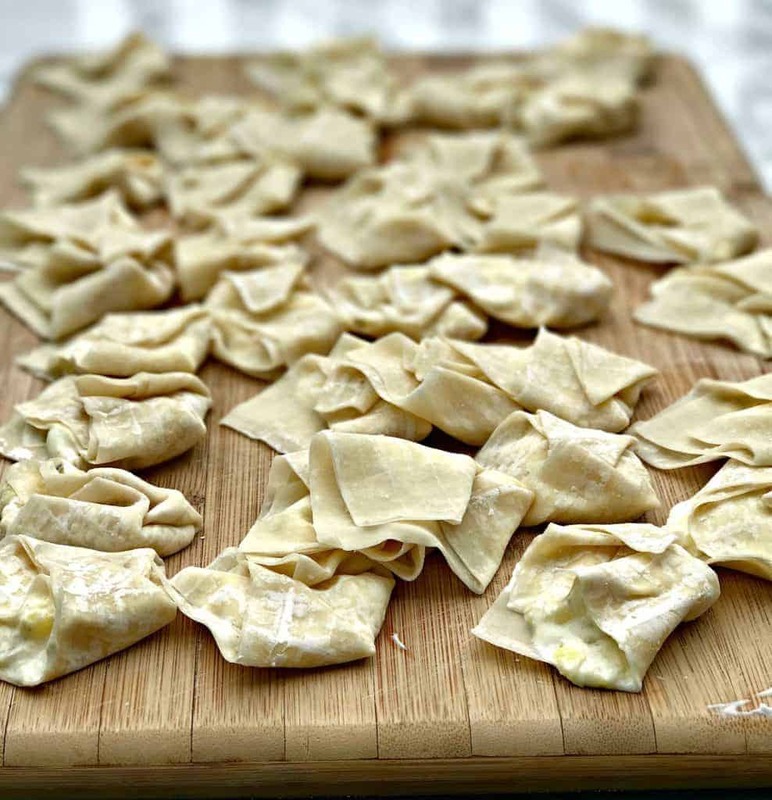 I love wontons- these sound delicious with the cream cheese and pineapple!!! Ohhh these sound so good. Such a great combo of flavors and love that they are guilt free. Saving for some summer parties! These look absolutely scrumptious and how awesome that they are guilt-free 🙂 I agree with you, some chain restaurants are SO good! What an intriguing recipe! I love all of the flavors in these…must give them a try!! What a fun and not too sinful of a treat! The texture looks amazing and I am wishing I had some on hand right now. Time to take a trip to the grocery store! Thanks for sharing! Luci’s Morsels | fashion. food. frivolity. Nothing wrong with a good chain restaurant in my opinion! I love that there’s pineapple in these, so fun! 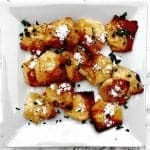 I am so digging these wontons with that combo of cream cheese and pineapple! And, I’ve been curious about frying in coconut oil – after reading your post think I’m gonna have to give it a try myself. Yum! Such an incredible snack. I love that pineapple cream cheese filling. I have not tried frying in coconut oil. Love the hint of coconut flavor it would give.